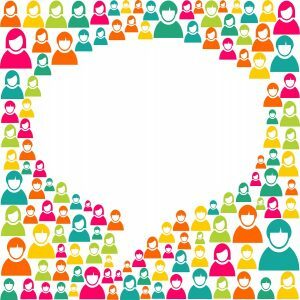 Content is how we communicate with people, both online and offline. Not just words on a page, but videos, images, games—it’s all content, and it all communicates something. Thanks to developments in the social web, people can now share content with their networks at a rapid rate, communicating ideas, news, and information like never before. Social networking sites have become a hub of daily activity for people around the web who use social media to stay on top of breaking news and pertinent updates from brands and personalities. Over 5 million photos are uploaded to Instagram every 24 hours. 163 billion tweets have been published since Twitter was founded. The +1 button is clicked over 5 million times a day. More than an hour of video is uploaded to YouTube every second. Because so much content is being shared, read, liked, and commented on all over the social web, social media sites, where the majority of sharing takes place, has had to adapt. Social media networks are all about the here and now—people want to see what they want to see when they want to see it. And because so much content is generated and shared—Mari Smith estimates that over 1,500 pieces of content can be shown to a Facebook user at any given moment—social networks have to limit the amount of content displayed to each user. So, in an effort to deliver engaging content from a source a user enjoys, social networks continually change how content appears to users. This past August, Facebook announced a change to their News Feed algorithm: now users would be able to see more “high quality” content that was relevant to their interests and from a page, user, or cause they care about. This meant that content shared by friends within Facebook would appear higher on a user’s News Feed. Images, videos, and visually-rich link shares—“high quality content”—took precedent over plain status updates, check-ins, and game updates. 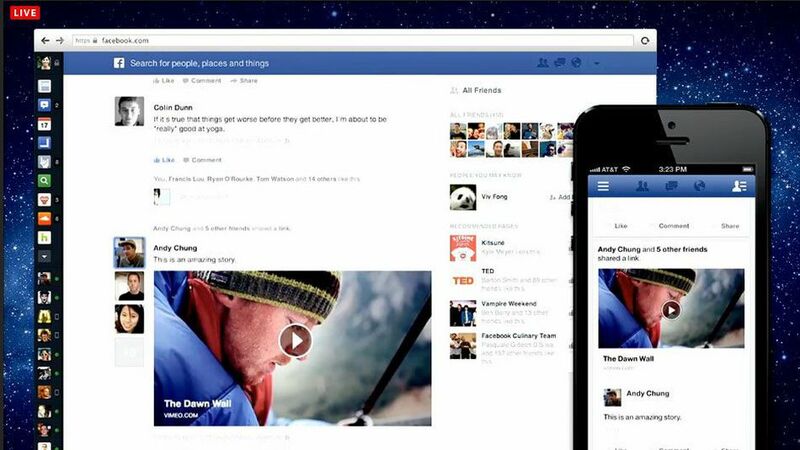 The updated Facebook News Feed, emphasizing hyper-relevant, visual content. Then again, just recently, Facebook announced another change. Citing that users routinely enjoy rich media more than plain status updates from Company Pages, the News Feed will now show less plain text (which previously ranked higher than non-ad link shares for Pages) and more visually-appealing content, all in an attempt to give users more of what they want to see. Along those lines, Facebook also gives users the option to provide feedback on the content they see in their News Feed. Either from Company Pages or from friends and family, users have the option to hide updates they find annoying or irrelevant to their interests. Called Negative Feedback, this continues to affect how Pages organically reach their fanbase, requiring companies and brands to stay on top of changing tastes and preferences. Until last October, Twitter streams were pretty standard: message, hashtag, links. But after realizing that users want a more visual experience (and due to competition from Instagram), Twitter released an update that would allow image previews within a user’s stream. Brands, companies, and marketers can now leverage visual assets like images, memes, and videos and have them appear directly into a follower’s stream—no extra click required. Twitter also introduced a way for users to better decide which content they really want to click on. Called Twitter Cards, these meta data markup options provide more in-depth information about a link (which, for character count, is usually shortened by a third-party). Descriptions, images, and links to the source appear, giving readers the information they need before deciding whether or not the article is worth their time. Both of these updates show how Twitter is listening to its users, giving options that benefit both casual users as well as brands and content creators. You can’t successfully network without communicating in some way, and LinkedIn provides a way for professionals to network their expertise and skills online, mainly through content. Two updates in particular have changed the way users discover and share content via their networks. First, the professional portfolio. This update was quietly pushed out in May 2013, and many users have yet to take advantage of it and build up their options. What it does is allow users to publish links to their best content right on their profile, generating a sort of visual résumé where people can click through to the original source. Promoting thought leadership, real experience, and communication skills, the portfolio is a great way for content creators to showcase their work to an interested network of other professionals. 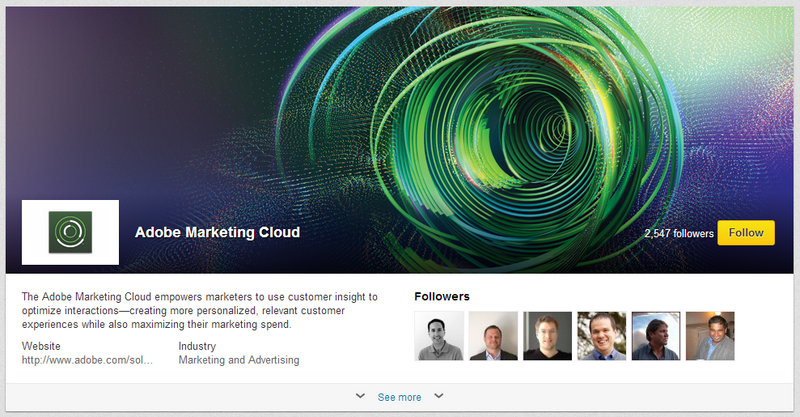 Adobe’s Showcase Page for their Marketing Cloud software. The Showcase Pages option is one for brands and businesses. Like a business page, a showcase page highlights a specific product or offering by a single brand, giving marketers a way to focus their content on a single subject, pushing updates out to people who are truly invested in just that product. This update came at a time when brands on LinkedIn were sharing more and more content with their followers, trying to market too many products to audiences that were too broad. In combination with LinkedIn’s sponsored stories offerings, brands can now better target their content to the people who actually want to see it. The social web is continually evolving based on how people find, share, and receive the content they see online. The three sites I’ve mentioned are just the top of the iceberg when it comes to changes to the social web—Pinterest, Google+, and YouTube have also implemented changed based on content reception data from their user base. Not to mention, news apps and platforms like SnapChat, Instagram, and Jelly were developed solely based on a need or gap their developers noticed in content dissemination. Because content is how we communicate with each other, content will continue to be the driving force behind major (and minor) changes to our favorite social sites. If you want to stay competitive, read up on the latest changes and adapt your content style to what your audience prefers. Constantly analyze what’s working and what isn’t and make changes to your strategy. if you don’t, your audience might find another brand or business who does.